It’s 2011 and there are still Countries that have rural spots that do not have running water. 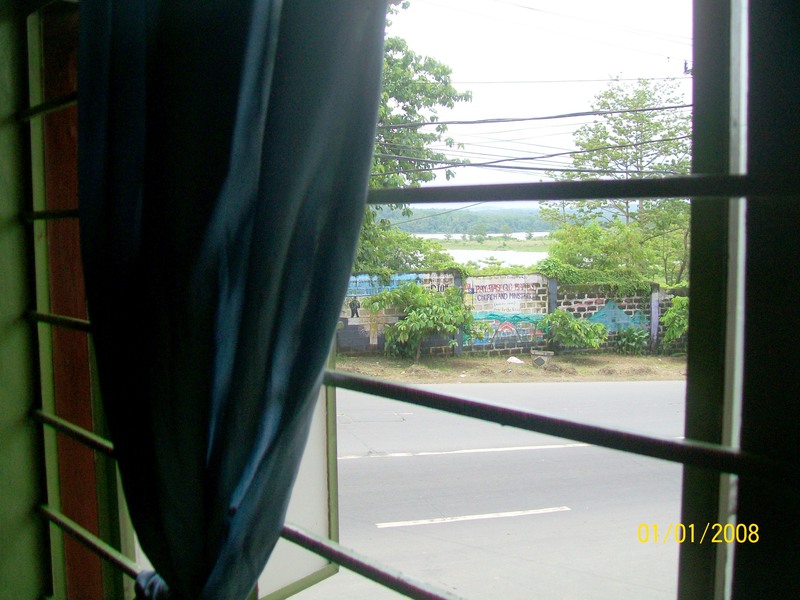 Payatas however is not a rural spot. It is part of Quezon City which is the heart of Manila itself. 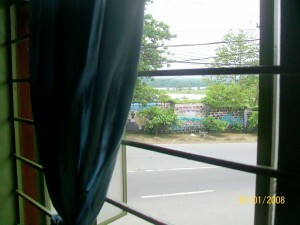 As a matter of fact, the La Mesa Dam and reservoir is directly across the road from every affected area in Payatas and as you will see from my window, it is very close. So then why does Payatas have such a hard time getting water? This reservoir is reserved for the rich areas such as that of Manila and Makati. The water supplied to us is from another reservoir which is below us. In order to supply the northern portions of Payatas with 24 hour a day water (The kind most people are used to) They would have to install a pumping station something they have not done for years. So, you might ask, how do we get our water? Maynilad employees turn valves. It seems they have enough pressure to supply one area at a time so they will turn all the valves off and turn one on at a time so we can have water. We wish to inform you that four control valves have already been installed at Villa Garcia to improve the water supply in your area. Since the same is located at a high portion, 24/7 availability of water is not yet possible. However, strong water pressure is observed from 3pm to 7am. This was witnessed by your land lady, Mrs. Murzo. In view of this, we suggest you store water during the said period. We sincerely apologize for the inconvenience this matter may have caused you. We hope to have informed you accordingly. MJ happily tells us that we have the availability of water between 3pm and 7pm. What does this mean? Watch. First off, I am not usually here during those hours. So that means I should drive 1/2 hour to Payatas every day to “See” if they turned the valve, fill up everything I can find and then drive home. Then they suggested that I “store water” you know, how you might do in an emergency situation if you were going to have to shut off your water for repairs. Unlike that situation it would mean that you would collect pails, buckets and containers and put them all over your house to “store” water. You will do that every day. If you are old, crippled, whatever, you must do that. I asked if the President of Maynilad does that but received no answer. Their other alternative was that we use a water tank. In other words to use their service (service???) we should buy equipment to store their water. It’s kind of like, “Let them eat cake” as this place is poverty stricken. They fail to realize that the privilege to distribute water and make a profit on it is a serious one. Why don’t they hook us up to the reservoir across the road or put in a water pump that can supply us with water? Can you spell corruption? What government agency oversees Maynilad and looks the other way? Can you help? Call , write your elected officials and find out where the buck stops. This is why this Country is not great like it could be. There is no motivation to serve and to do what is right.